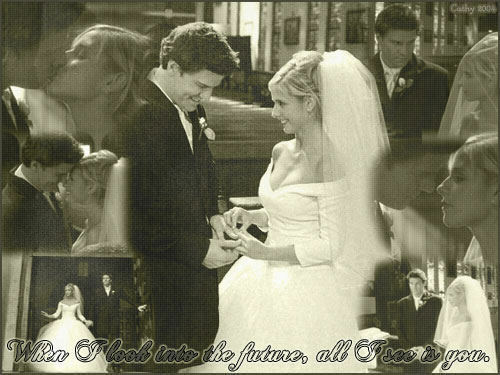 Buffy and エンジェル. . Wallpaper and background images in the Bangel club tagged: bangel buffy and angel buffy angel icon season 3 screencap episode. This Bangel photo might contain スーツ, ビジネス スーツ, 名誉の花嫁介添人, メイド, 花嫁介添人, メイドの名誉, and 名誉のメイド.